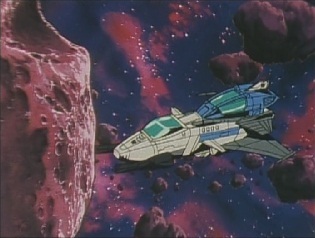 The Destrons have left the Earth and are hiding in an asteroid belt in space. 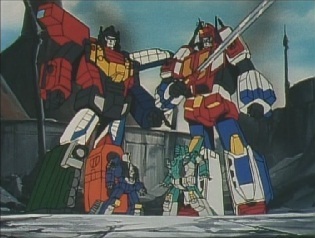 Star Saber gathers together his troops, asking if there has been any change in the Cybertron's activities. 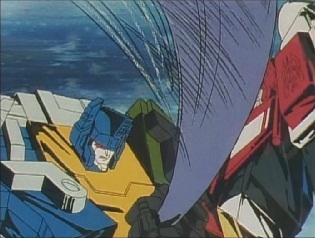 Gouryuu says there hasn't, and Leozack tells him that is just as well as Gouryuu would only get in his way otherwise. 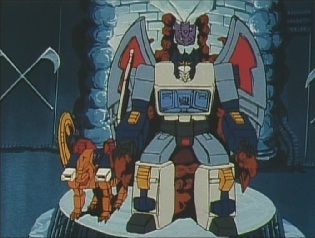 The stupidity of him and his team is as limitless as the universe! 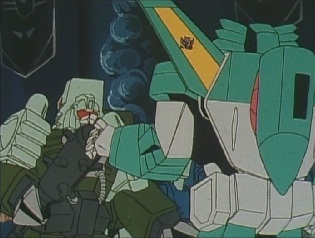 This gets a laugh out of Leozack's teammates -Jallguar, Killbison and Drillhorn -but Deszaras isn't seeing the funny side and reminds them that he didn't call them to fight pointlessly. 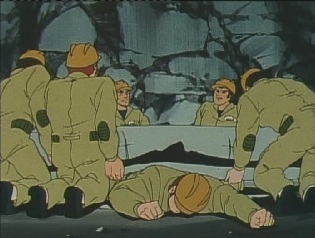 Leozack has a new plan for taking some energy, and his teammates will be taking part in it. 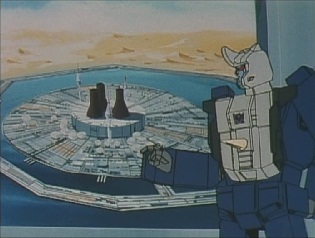 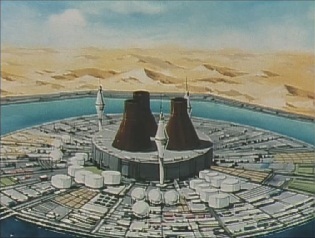 Drillhorn brings up a picture showing a power plant that the Destrons will attack. 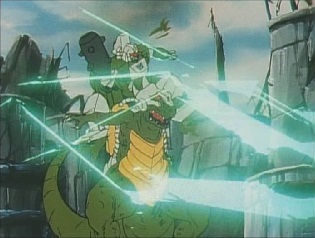 He organizes the Dinoforce, telling them where to strike, whilst they will wait for any Cybertrons to arrive and deal with them. 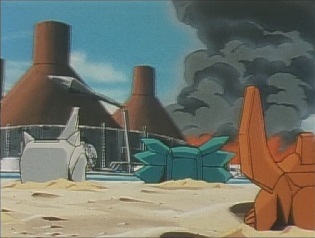 Jallguar points out that they must not destroy the two towers at the centre of the plant, as doing so would make them useless and they wouldn't be able to gather any energy. 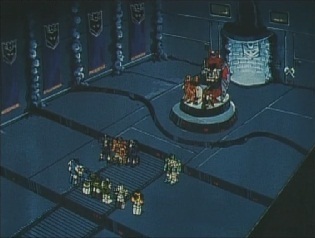 Deszaras is in agreement with Leozack's plan, and the Destrons move out. 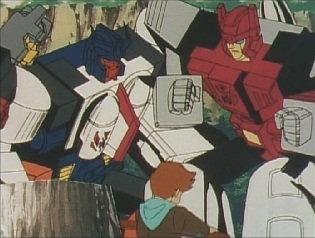 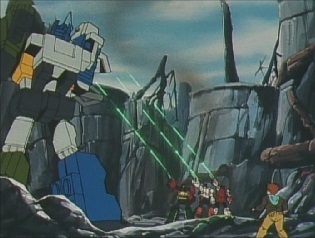 At the Autobot base, the Multiforce are busy watching Jean trying to move a boulder by using a lever to pull it. 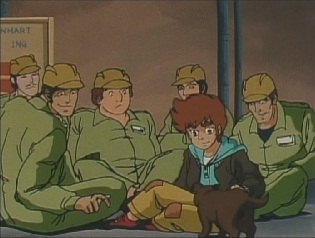 Jean manages to move the boulder and asks how it was possible given how it was so heavy. 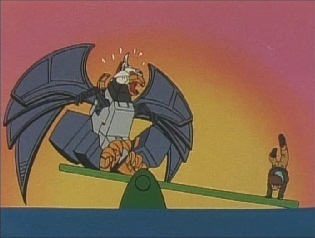 Wingwaver explains that even a small amount of strength can move a huge object when a lever is used to do it! 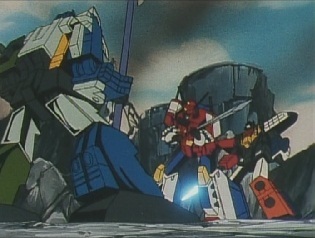 Star Saber walks out and asks what's up. 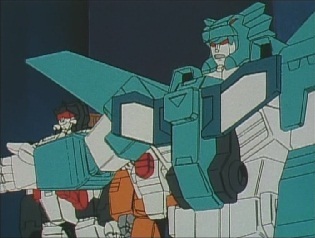 He is pleased to find out that Jean is learning about new things, but he wants the Multiforce to go out on patrol. 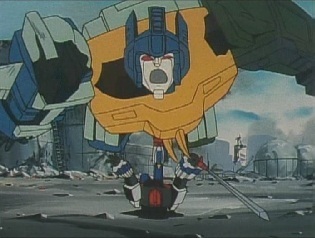 He's found out that the Destrons are back on the Earth. 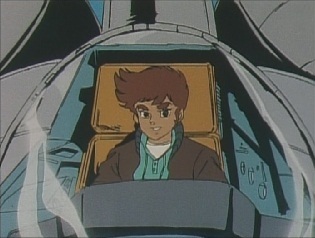 As he heads off, Jean asks Wingwaver to let him come with them. 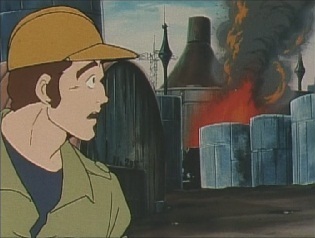 At the energy plant, one of the workers is feeding a puppy he found when he hears something behind him and sees that part of the plant is on fire! 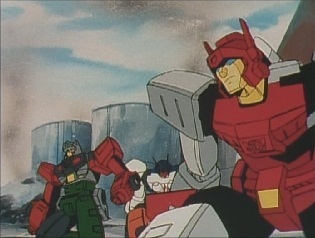 The Destrons have arrived and soon lots of explosions rock the plant and send the human workers running. 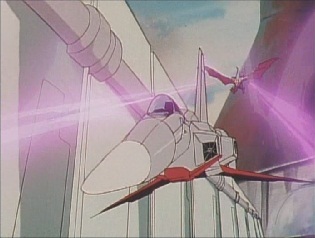 Meanwhile, the Multiforce are meant to be on patrol, but Jean has convinced Wing to just do some stunts instead. 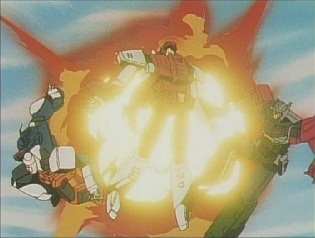 As Wing comes in to land, he and the others then notice a large explosion not that far away. 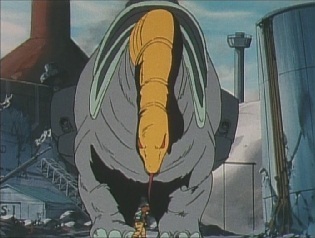 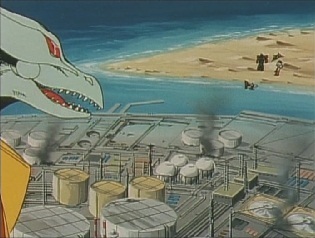 Gouryuu and the other Dinoforce members are causing as much damage as they can to the power plant, and Gouryuu is enjoying himself. 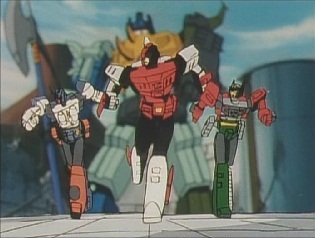 Meanwhile the Multiforce move in. 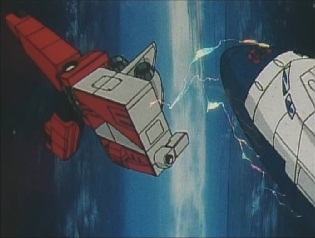 They are spotted by Yokuryuu, who starts shooting at them. 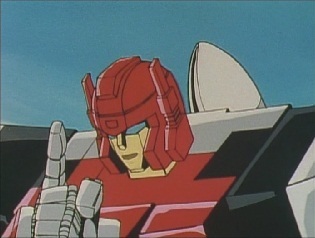 Wing says he'll deal with him, so Dashtacker and Machtackle are to go and defeat the other Destrons (Waver just gets to do nothing). 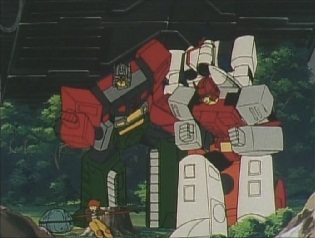 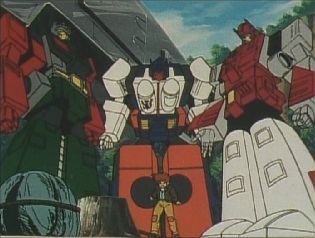 Dashtacker and Machtackle move further into the plant, and confront the rest of the Dinoforce. 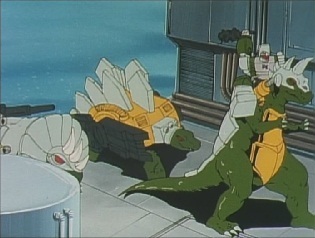 ...but Dinoking just shoots back at them. 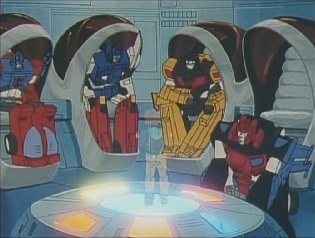 Jean contacts the other Cybertrons, who are surprised that he has contacted them rather than Wingwaver. 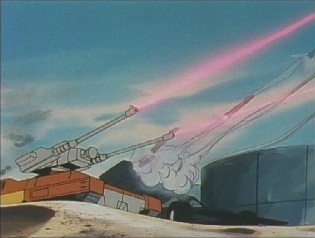 They say they are on their way, but back at the plant, the Breastforce have heard the transmission and prepare themselves. 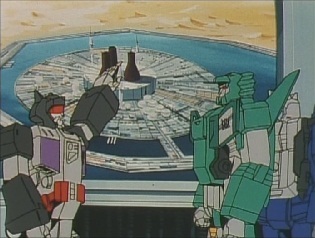 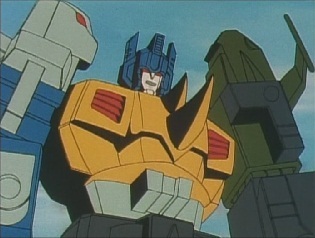 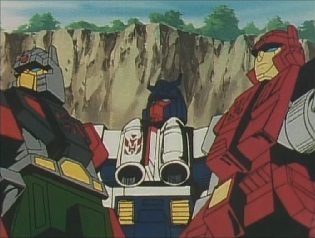 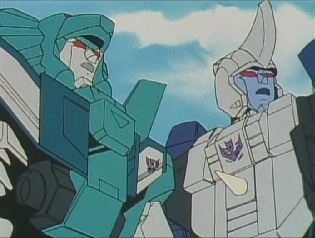 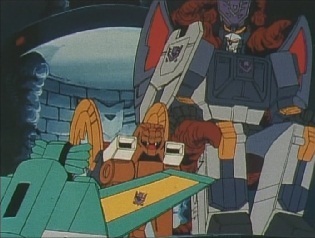 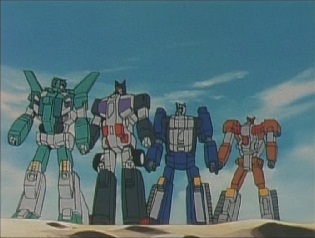 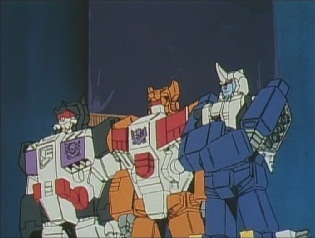 Leozack and Drillhorn move in to the plant itself, whilst Jallguar and Killbison are told to shoot down the Cybertron reinforcements when they arrive. 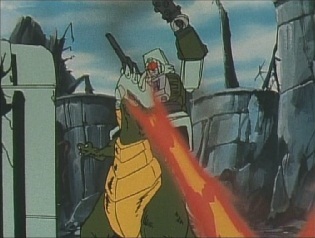 Jean can only watch as Dinoking shrugs off the Multiforce's laser blasts, but he then realises that Rairyuu's Pretender shell has found him. 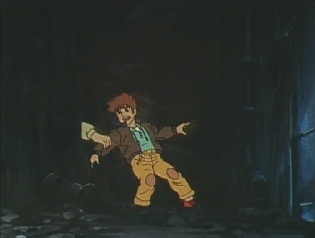 A brief chase ensures, but Jean stumbles into a dead end. 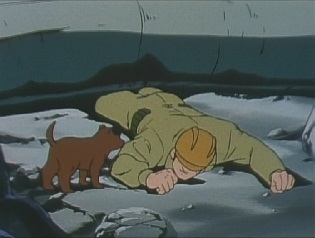 Before Rairyuu can find him, someone grabs Jean and pulls him aside. 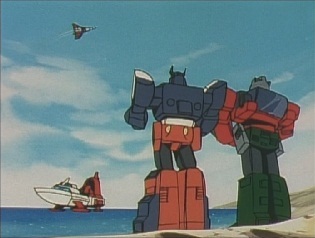 Meanwhile the Multiforce finally realise that in this situation, they should unite. 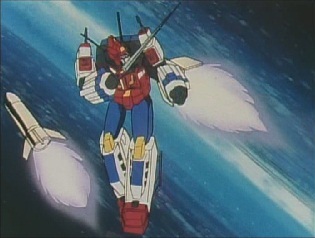 They leap into the air, but before they can transform, they are blown back down to Earth by Leozack's missiles. 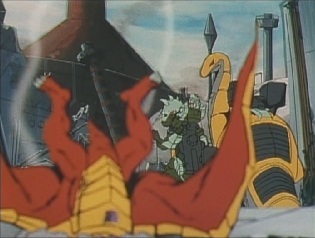 Leozack reminds Dinoking that they weren't here to cause as much destruction as he already has. 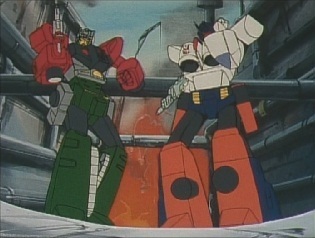 Leozack and Drillhorn realise they've got a problem, as Landcross fights with Dinoking. 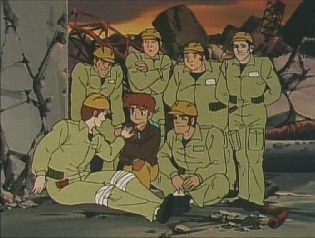 Meanwhile the guy who grabbed Jean is one of the plant's workers, and takes him to a group of survivors who are hiding out in a crumbling building. 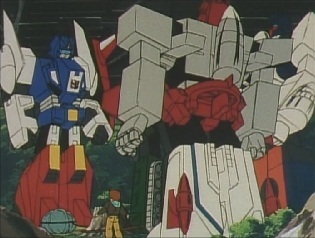 Jean tells everyone not to worry though as soon Star Saber and the other Cybertrons will be here to save them. 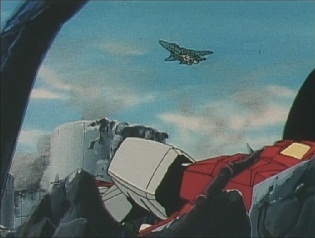 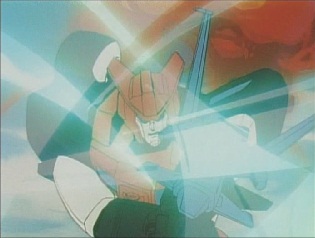 At that moment, Killbison and Jallguar open fire on Star Saber, but he flies over them. 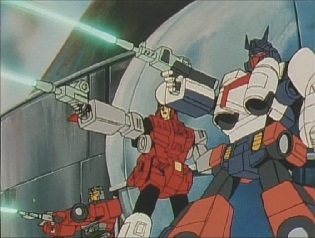 Before they can give chase, Blacker, Laster and Braver appear and start shooting at them. 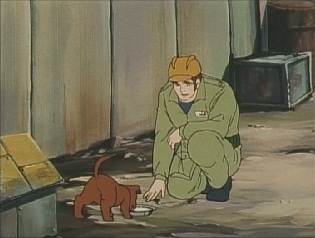 Inside the building, the little dog runs in and starts barking at everyone. 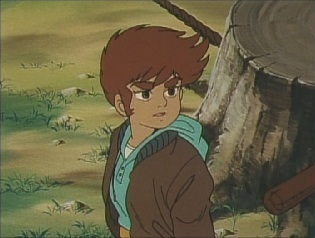 Jean realises that the dog wants them to follow him, so they head out. 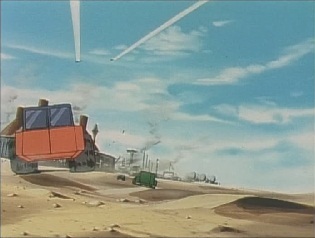 ...and gets to Landcross' side. 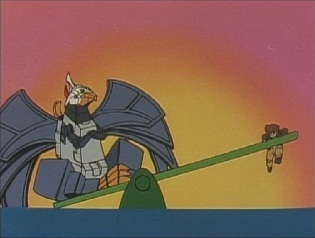 He says he'll deal with Dinoking, and the two start to fight. 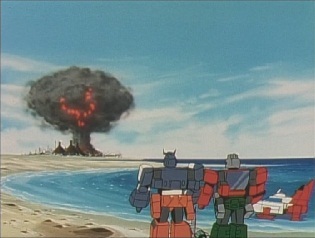 Meanwhile. 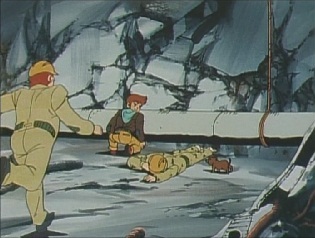 Jean's idea is to use a lever to move the pipe, and the workers have created one. 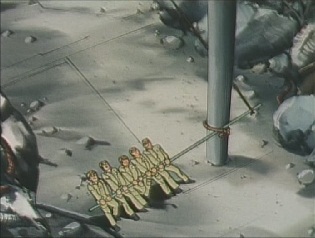 They manage to move the pipe up slightly, allowing the trapped guy to be pulled out. 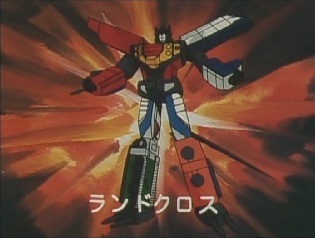 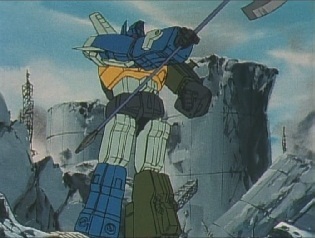 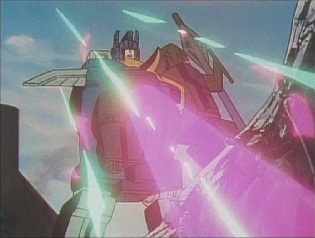 Star Saber throws Dinoking with such force that he breaks apart, and Gouryuu decides he wants to retreat. 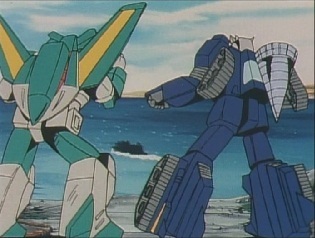 They head into the sea, despite Leozack demanding them to stop. 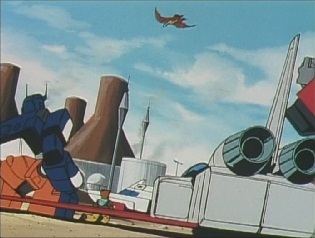 And since they don't want to fight Star Saber and Landcross, they also retreat. 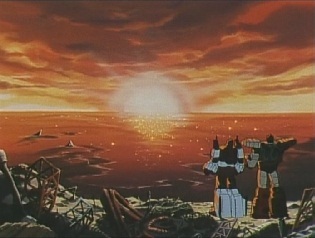 With the power plant kind of saved, the worker is reunited with the puppy as Star Saber and Landcross look out across the sea. 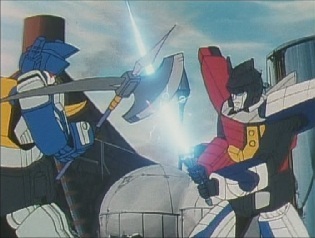 Star Saber tells him that they didn't just come to Earth to fight Destrons, but they will defend the Earth and protect it's people. 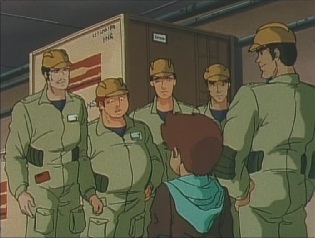 That is their mission.